There is a war. Some won’t call it that, but the war is One Size Fits All (us) versus Styles (them). In the mediation world we are trained to know that “neutral“ is the role of the mediator and joint session is the process. There are tools to help a mediator stay a neutral. We are taught tools like open ended questions, clarifying, reframing, summarizing. Most importantly we learn that mediation is about party self-determination with the agreement being the parties’ responsibility and the process the mediator’s responsibility. We learn to be a practitioner of this ancient art, focusing on neutral as its key feature and joint session as its proper structure. So, writing about reinforcing that process should be easy. Except it’s not. The reason it’s so difficult to write about proper mediation is the loss of the purpose of the facilitative mediation concept by those invaders. They come to mediation with different learning experiences, mainly the court process. Mediation exists so that parties work out their problems themselves with counsel as support and not by the mediator. There are, on the one hand, the neutrals who view their role as supportive to the parties. The big tree of facilitation standing proud and strong. But there are those hacking away at the tree roots by insisting there is no one style that fits all believing that many “styles” offers ideas, solutions and shuttling is ok.
Just what is style? Apparently not facilitation in joint session. Evaluation and solution giving are part of their styles. Some have written style is also personality. How can this be included? We are talking about process, the technical aspects of mediation and neutral mediating in joint session. We all have personalities that make us who we are. In life what kind of personality you are takes no effort. You are who you are. In mediation the effort is in holding the process and the parties together and controlling the mediation while appearing not to control it. Take the example of a mediation that has been ongoing for several hours, seemingly getting nowhere, when a party turns to the mediator and says, “Dennis. What do you think?” “What can we do here?” For the mediator here’s the crux of the war, to suggest or not to suggest. Thinking, give them a response and it will be helpful to the parties and earn their trust. The mediator suggests an outcome, but it’s in resisting in giving advice and supplying a solution that is the role of the mediator. We should try to remember that mediation is not about the mediator. The neutral mediator can build trust another way as in, “Look at the options you have suggested. Perhaps there’s something you can combine that will work? Harvey or Oliver what do you see that may be a building up to an agreement?” This is being tuned in to their issues without telling them the following, “Harvey, I once had a case where the parties had a similar problem and they did this” Or “Evaluating this case I suggest you do the following…” Where does self-determination exist in these last two responses? The reality of those who hold mediation as separate session, attorney opening statements, and evaluation by the mediator must to be defeated? This defeat will restore mediation to its proper process thus benefiting the parties own need of self-determination and creating a long term satisfaction for themselves. So, the styles rally cry of “One Size Does Not Fit All” is based on a false premise. They go overboard on giving the parties control over the entire mediation. My friend tells me this reality will be difficult to break. Facilitation needs to be the basis of mediation structure and returning self-determination to the parties a priority and the neutrality of the practitioner to the original joint session structure without the detractors (many styles) injecting their courtroom methods and styles into the mediation process. 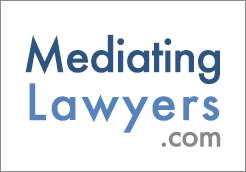 They bring to mediation- parties don’t talk to each other, attorneys make opening statements, and with a retired judge mediator deciding the result. And they add this is what the parties want. The parties are there to find a way of removing the conflict. Deciding how the process should be run is not on the agenda. Why offer this to them? The tree of facilitation no longer exists, the joint session is now a forest of styles with separate sessions. This has created a stumbling path to agreement and sometimes a fallen tree of impasse. Every loss of neutrality by the mediator is a stumble and the disappearance of self-determination in the forest. The reality of all this? Mediation is changing for the worse and self-determination is going, going soon to be gone. Neutrality goes the second the practitioner speaks for a party to the other party. This happens when there is a separate session and regardless of the practitioner’s intent. So the war continues. In the ‘80s, writers Folberg and Taylor, in “Mediation” suggested that attorneys had to adjust their approach to mediation. They had to adjust their “zealous advocacy” from the courtroom style to getting the client ready to be in joint session. Hasn’t happened for many. In 2014 an article by Alan Sharland, “Why Mediators Don’t Give Advice, Suggestions, or Options.” Sharland gives well thought out reasons for not interfering with the parties’ discussions and for upholding self-determination. The directive mediator can create the potential of an appearance of favoritism, seeming to favor one party, or favoring the mediator’s suggestion vs. the parties’ ideas. Suggestions can undermine the parties or allow the parties to sit back and let the mediator do it. Lastly, what if the mediator’s suggestion doesn’t work out? Whose fault will it be? - How their counsel will support this effort. Prior to the mediation process the mediator will have separately met or talked on the phone to each attorney. A fifteen or twenty minute conversation about the conflict and their client’s goals in ending it and why hasn’t it settled before this? Working together now is a step closer to attaining a party driven agreement in joint session. Summaries will become a thing of the past, a casualty of the war. It helps the mediator to have a guide, an InTake Form of their own design replacing summaries. These summaries were a problem in that they contain a point of view from one side only. At a luncheon I attended, the speaker, a retired judge/mediator said that summaries created a bias for him. What they contained and how they were written made him think about the value. It’s better for the mediator to take charge and own the questions answered by the attorneys, all in confidence. Yes, the mediator is in charge of the mediation. Any comments warlike or not can be sent to me. They will be answered.